The Lexmark E352dn refurbished monochrome laser printer will help save space and money since its size is ideal for small offices and its affordable price won't break your wallet. Communicate easily with your network with the integrated network adapter. The 366 MHz processor and 32 MB of standard memory allows for quick and efficient sharp, crystal clear documents. 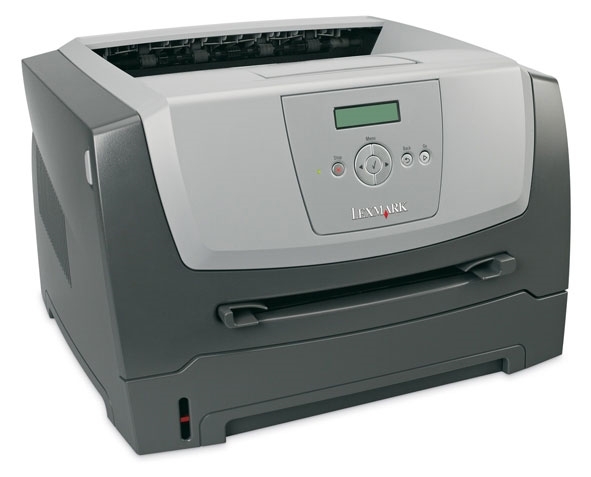 Leading technology makes the Lexmark E352dn one of the most energy-efficient laser printers in its speed range. Additionally, you can take advantage of integrated duplex printing to save paper and reduce user intervention.